While awaiting publication of the third autobiography of Mark Twain, the one he directed to be released 100 years after his death, I have been hungering for some of his wry words of wisdom. To that end I journeyed to one of the local libraries and came home with this wonderful little book. 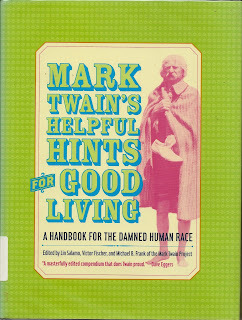 First published in 1991 by the Mark Twain Foundation, this edition is edited by Lin Salamo, Victor Fischer and Michael B. Frank. Comprised of 8 distinct sections the writings range from Mr. Twains views on Etiquette, Complaints, Travel, Health and Manners to name only a few. Most of the material comes from the private papers of the author. For fans of Mark Twain (Samuel Clemens for the purists amongst us) this book will delight you with some things which are familiar, as well as surprise you with the things you have not previously read. 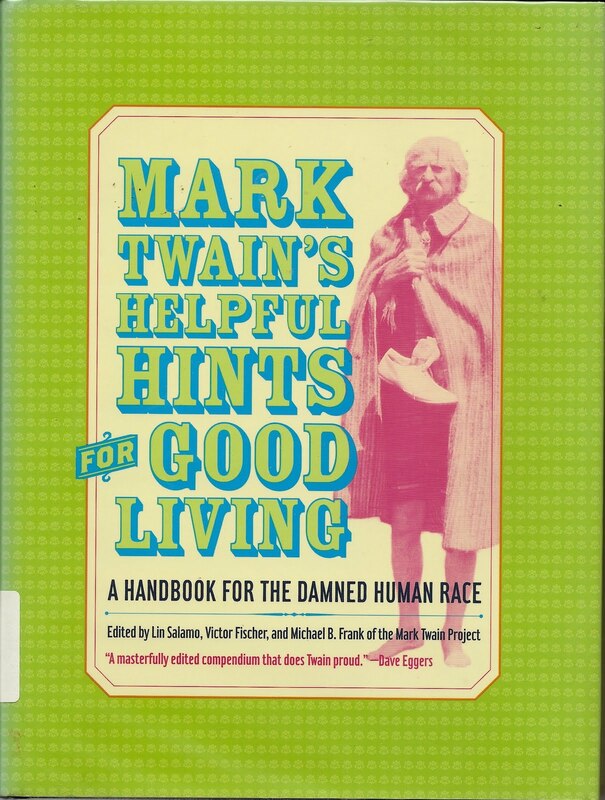 And for those folks who are unfamiliar with Mark Twain beyond "Tom Sawyer" and "Huckleberry Finn", the book will serve as an open door through which you will hopefully discover the delight and wit that made him one of America's greatest writers. This book makes an excellent companion for a hot and lazy summers day. And a suitable resting place for those of us awaiting the Autobiography due this fall.